Wednesday, March 30, 2011 – New York, NY — Bob Dylan fans and film aficionados alike have reason to celebrate on April 26, when a pair of classic documentaries, each chronicling and illuminating different aspects of Bob Dylan in the 1960s, will be released on state-of-the-art Blu-ray disc (BD) for the very first time. 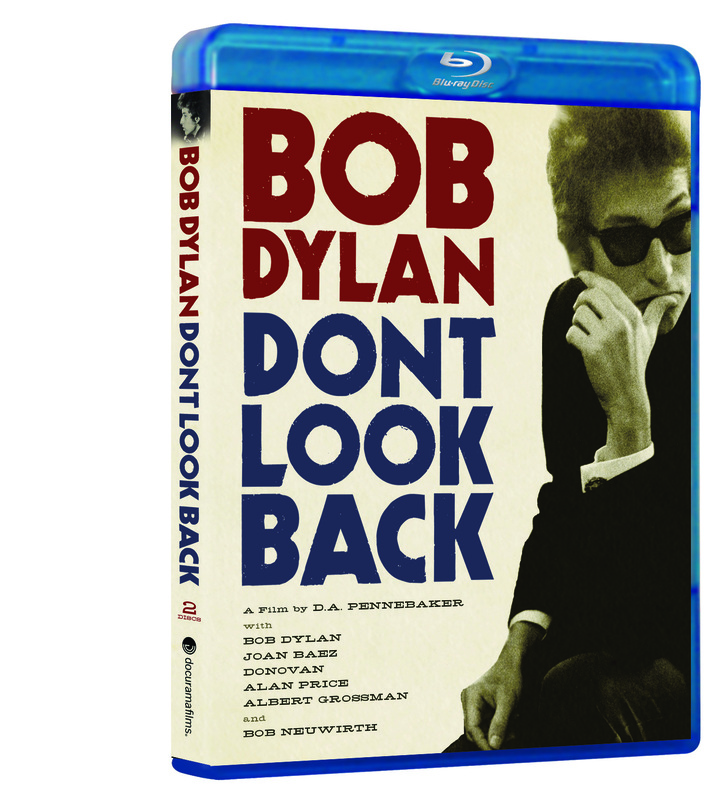 New Video’s Docurama Films® presents the first Blu-ray release of Dont Look Back, newly mastered in high definition (HD) and featuring a brand new and exclusive interview with D.A. Pennebaker, the film’s director, and renowned rock and culture critic Greil Marcus. The Blu-ray edition also includes bonus material from the 2007 DVD release: 65 Revisited; Five Additional Uncut Audio Tracks; Commentary by D.A. Pennebaker and tour road manager Bob Neuwirth; Alternate Version of the “Subterranean Homesick Blues” Cue Card Sequence; Original Theatrical Trailer. When acclaimed documentary filmmaker D.A. 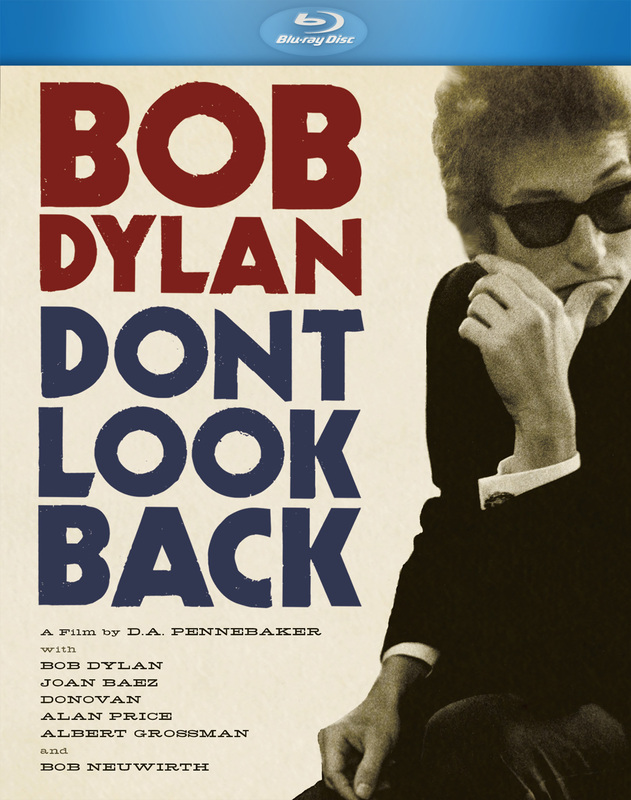 Pennebaker (Monterey Pop, The War Room) filmed Bob Dylan during a three-week concert tour of England in the spring of 1965, he had no idea he was about to lens one of the 1960s most iconic feature films. Wanting to make more than just a concert film, Pennebaker decided to seek out both the public and private Bob Dylan. With unobtrusive equipment and rare access to the elusive performer, he achieved a fly-on-the-wall view of one of the most influential musicians of any era — and redefined filmmaking along the way. Columbia Records and Legacy Recordings is releasing, for the first time on Blu-ray disc, The Other Side Of The Mirror – Bob Dylan Live At The Newport Folk Festival 1963 – 1965. An essential film in the Bob Dylan cinematic canon, The Other Side Of The Mirror brings together more than 80 minutes of exquisitely lensed performances, 70% seen here for the first time, drawn from three seminal years in the artist’s ever-evolving career. Produced and directed by Academy Award® winner Murray Lerner (From Mao To Mozart: Isaac Stern In China), The Other Side Of The Mirror – Bob Dylan Live At The Newport Folk Festival 1963 – 1965 opens a window into a critical epoch in American cultural history as reflected in the musical transformations of Bob Dylan’s galvanizing watershed performances at the Newport Folk Festival in 1963, 1964, and 1965.